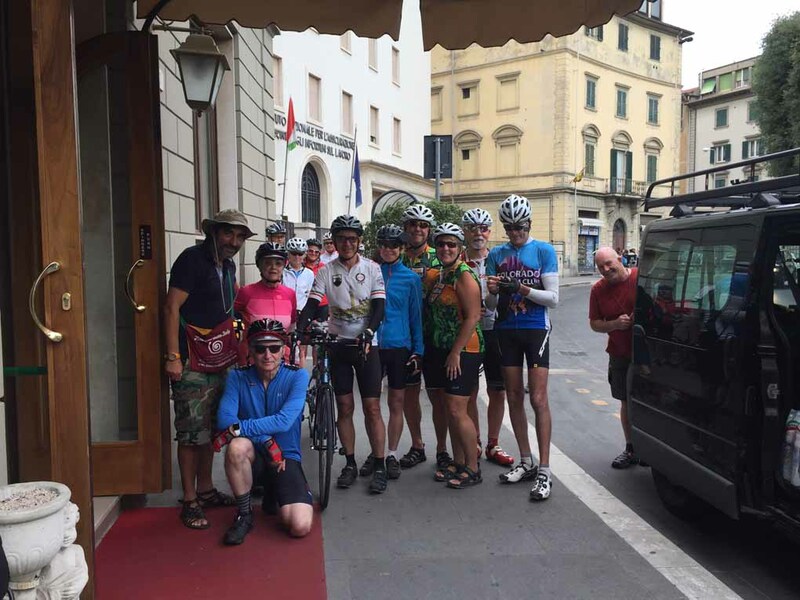 After arrival in Florence, we transported the group to the walled city of Spoleto in southern Umbria where we spent out first 2 nights. 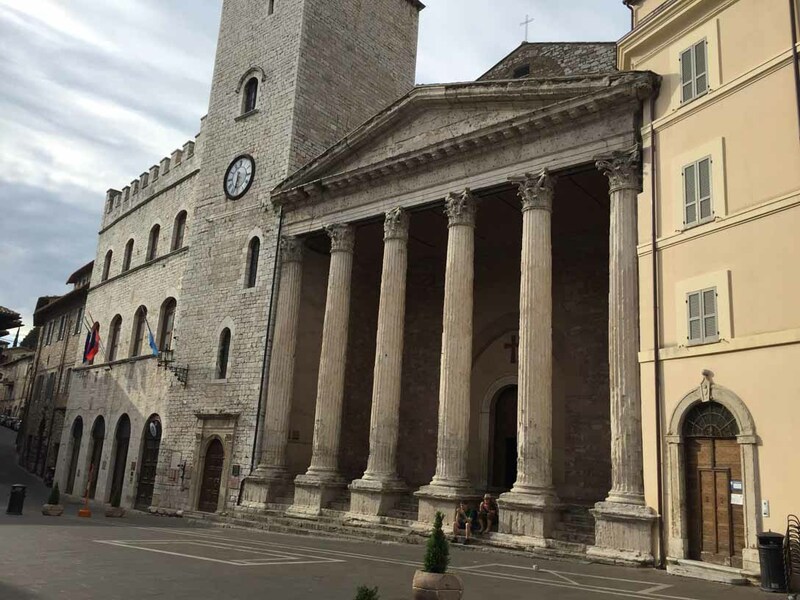 Spoleto is rich with both Roman and medieval history. 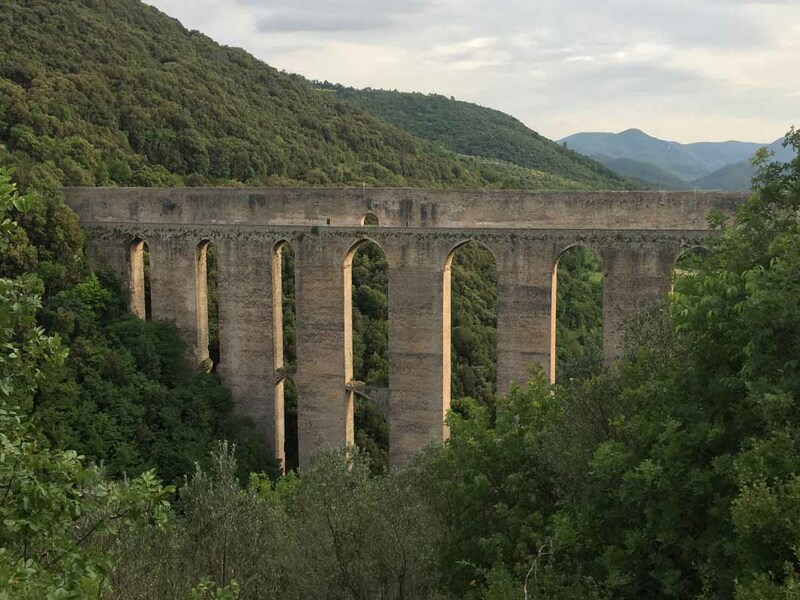 Roman ruins include the Casa Romana (Roman house), a first century Roman Theater and the breathtaking Ponte delle Torri bridge, erected on the foundation of a Roman aqueduct. 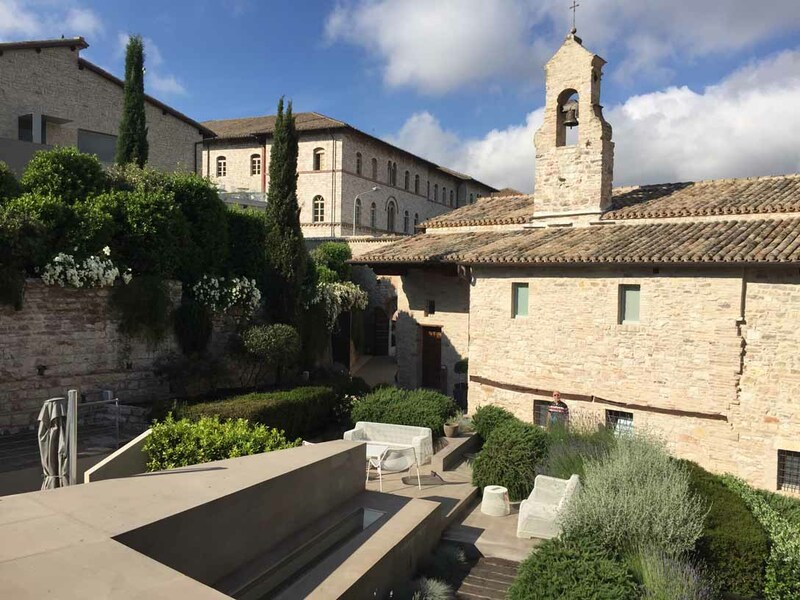 Medieval sights include the Rocca Albornoziana, a papal fortress high above the town and Spoleto’s Duomo (the Cathedral of the Assumption of St. Mary) which includes one of the most famous frescoes of the Renaissance master, Fra Filippo Lippi. 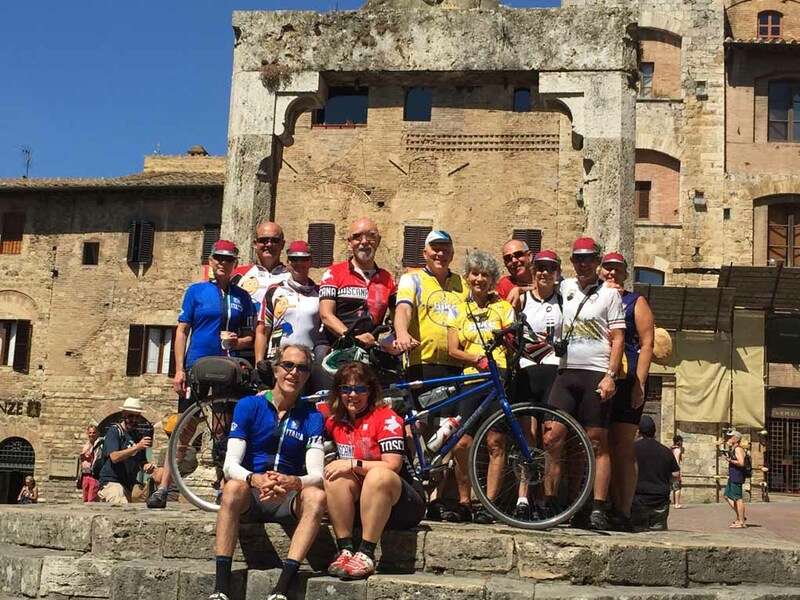 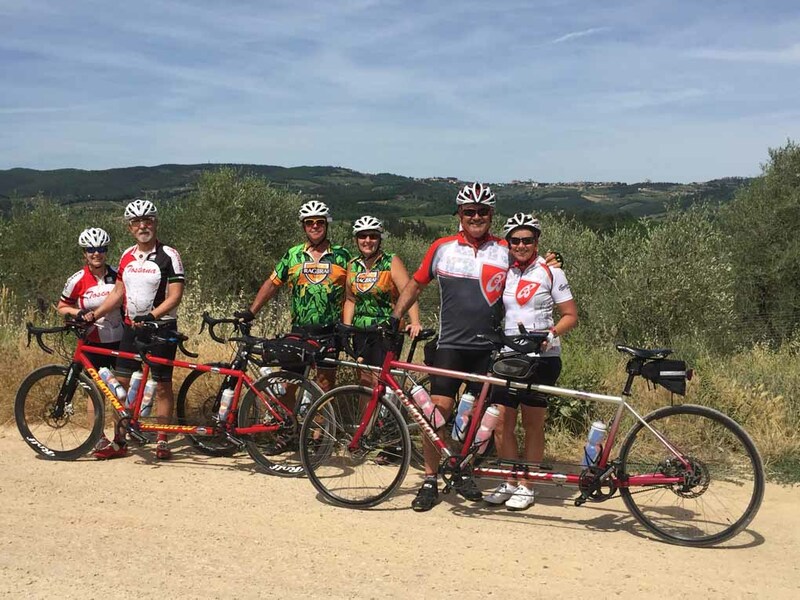 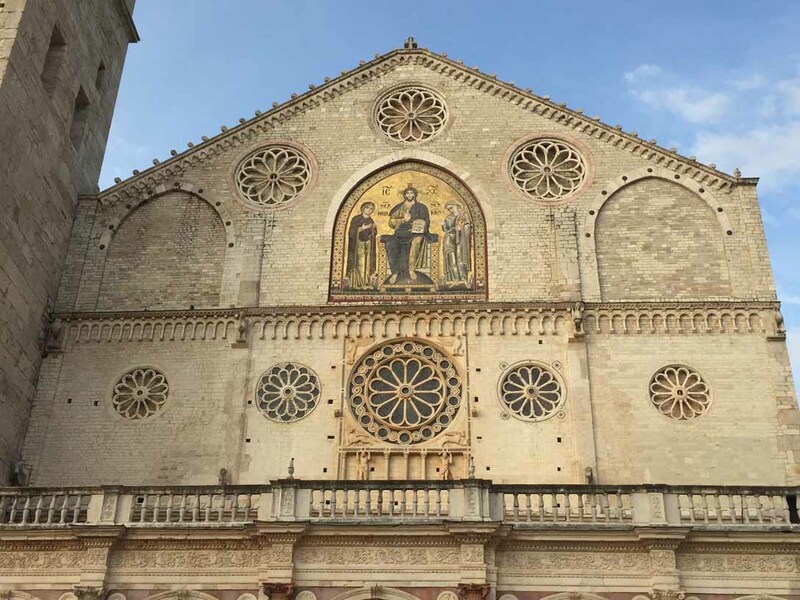 Our first day's ride tooks us past the many olive groves of Umbria and on to the village of Santa Maria Reggiana to visit the ancient church. 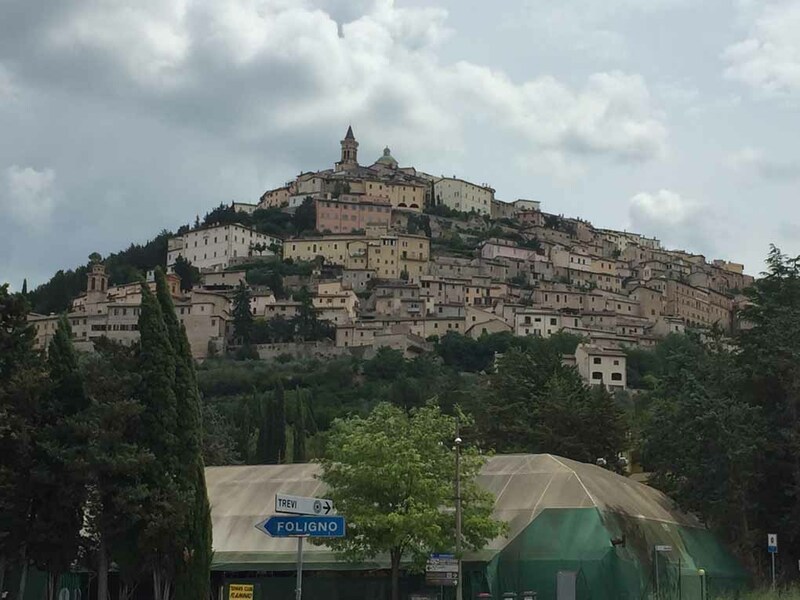 Next we headed to Trevi, a classic hilltop town of the region. 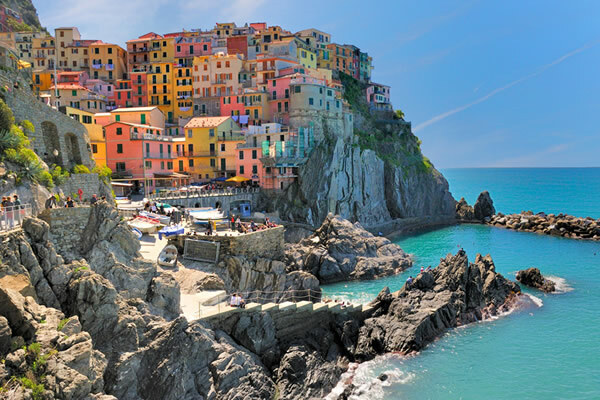 Typical wines of this area include Trebbiano and Grechetto, ancient grapes known to the Romans and Etruscans. 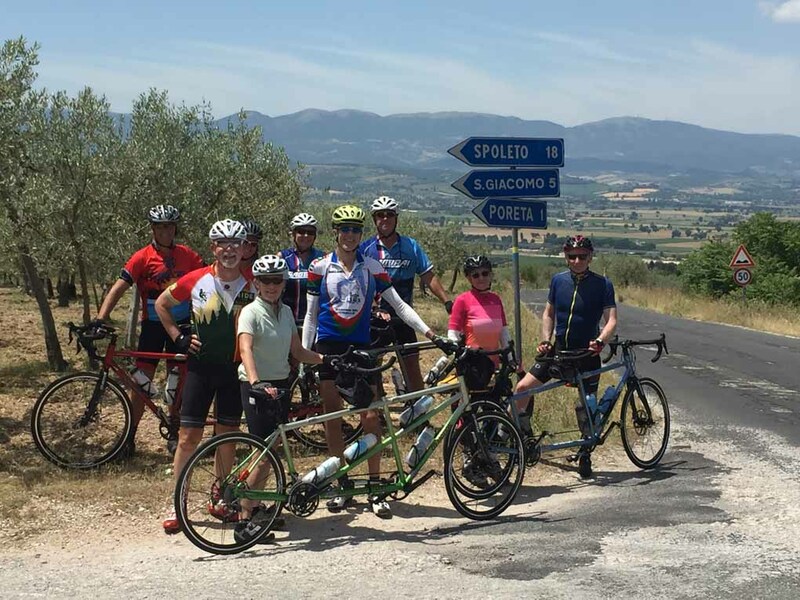 Leaving Spoleto, we enjoyed a wonderful ride as we made our way to Assisi. 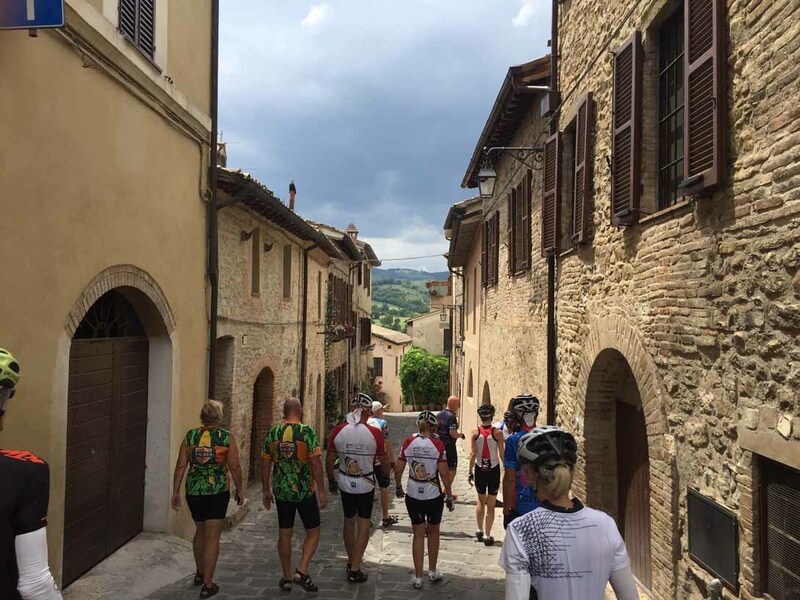 Lunch in Bevagna by way of the Arnaldo Caprai wine estate allowed us to pass by Montefalco, home of the very special Sagrantino wines of this area. 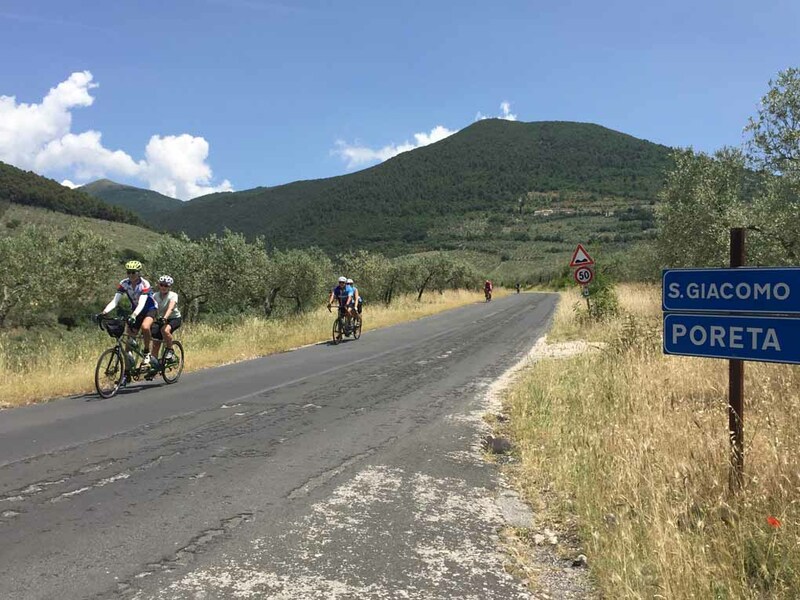 Getting closer to Assisi we cycled the Olive Grove Way where we stopped for a visit to Emanuele Ragani's estate, a producer of some of the very best award-winning olive oil in all of Italy. 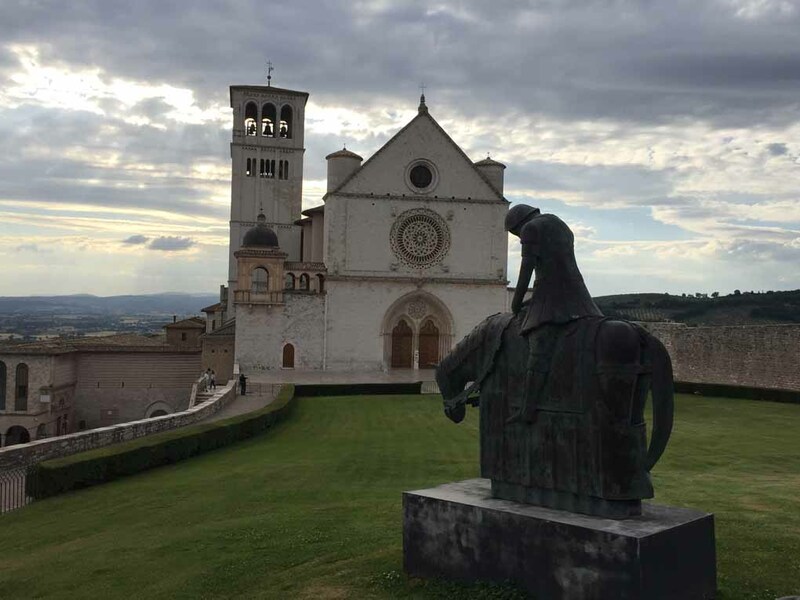 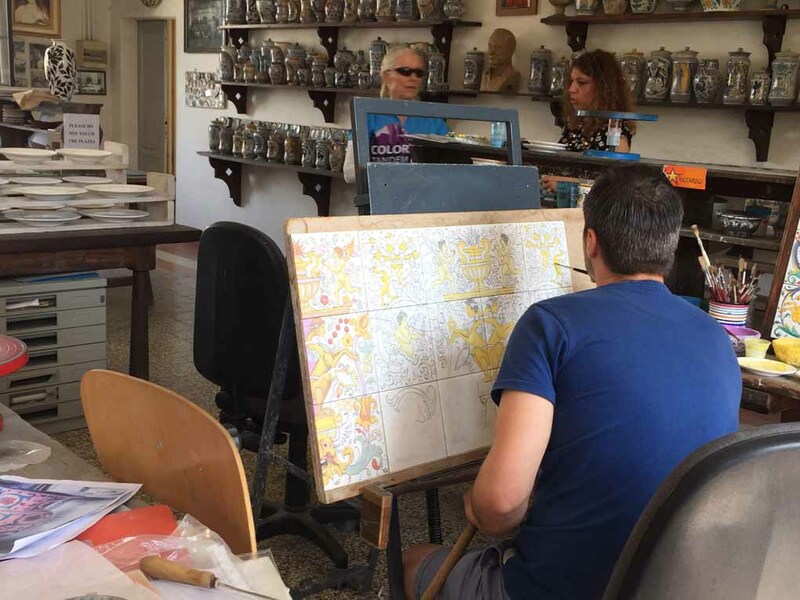 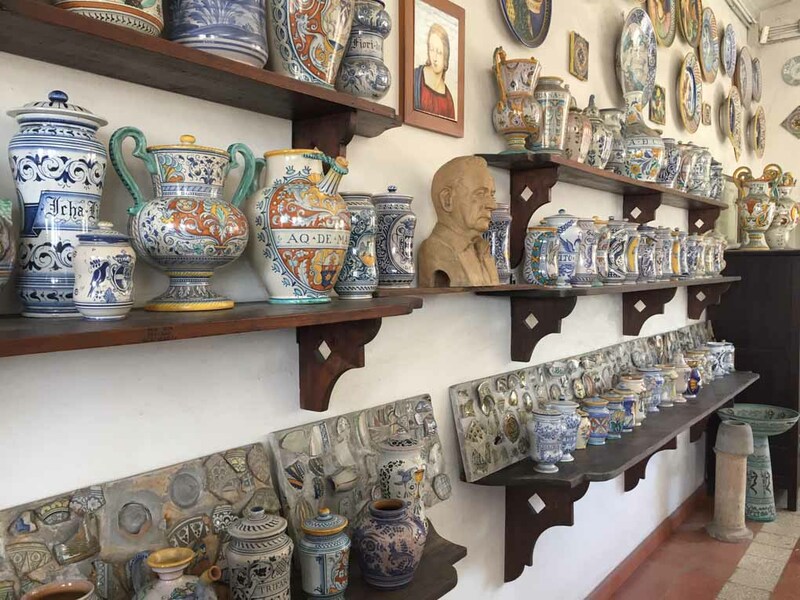 Two nights for us to explore Assisi, home of Italy's favorite son, St. Francis, included a tour of the Basilica and a special ride to the village of Deruta, famous for it's beautiful handmade Italian Majolica ceramics. 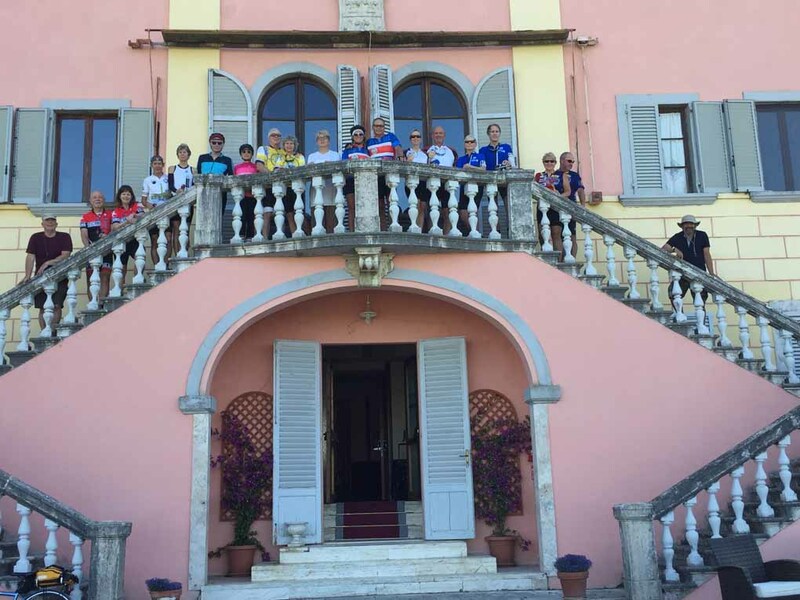 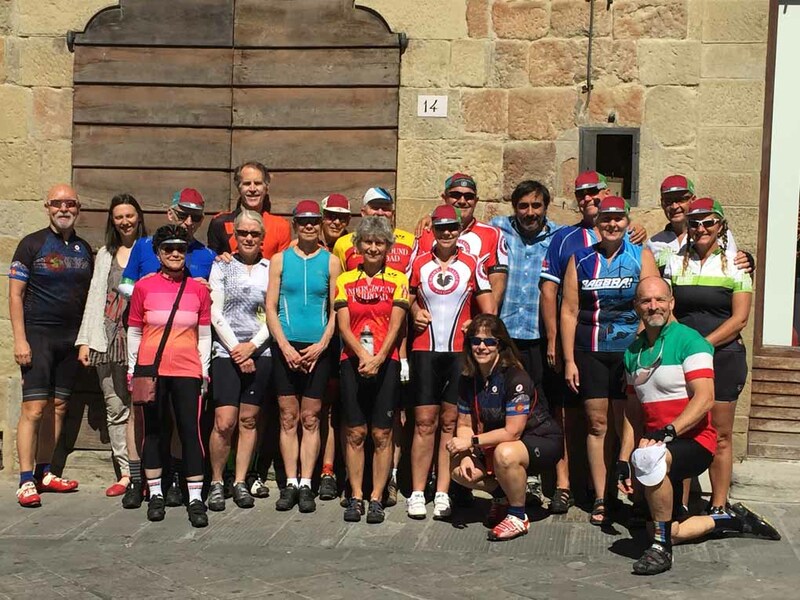 Leaving Umbria, we began our travels in Tuscany, stopping in Sansepolcro, to visit our guide's offices at Il Circolo degli Esploratori also known as Hike and Bike Italy. 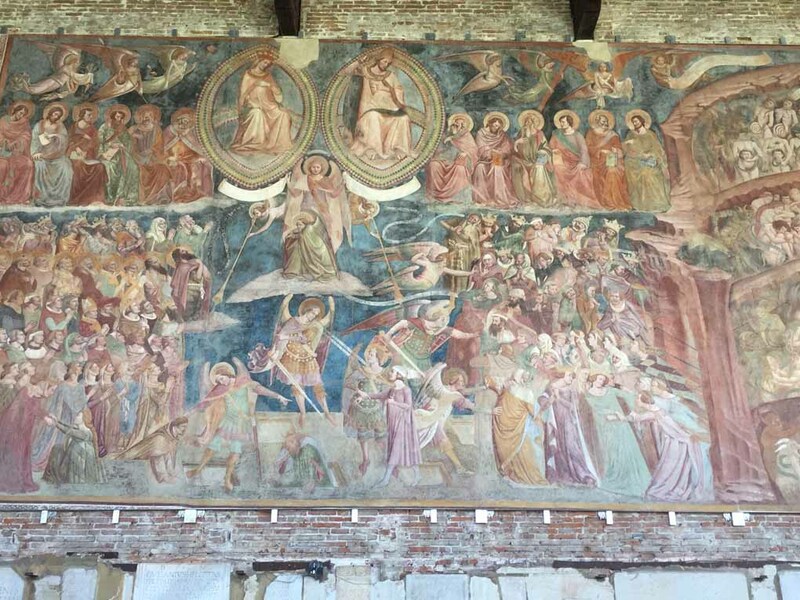 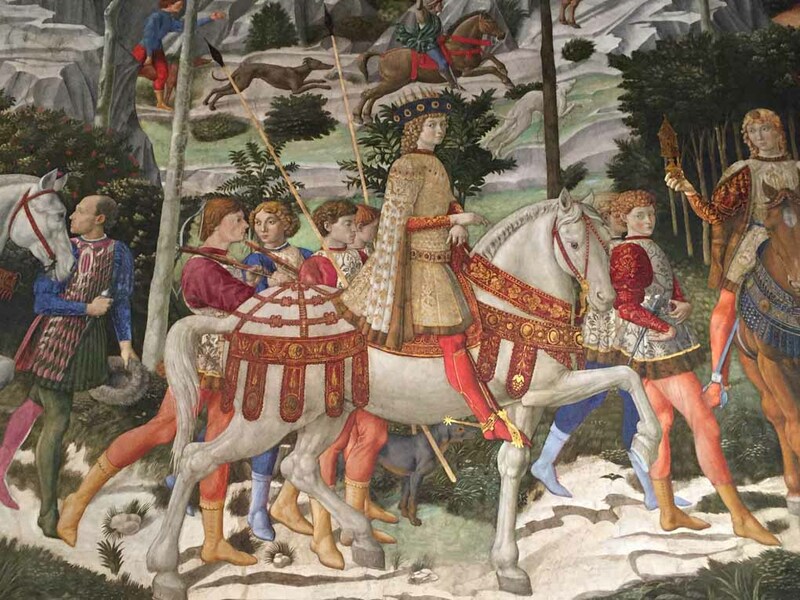 Sansepolcro is famous for its Palio della Balestro (crossbow festival) and the Renaissance masterpiece, the Resurrection by Piero della Francesca. 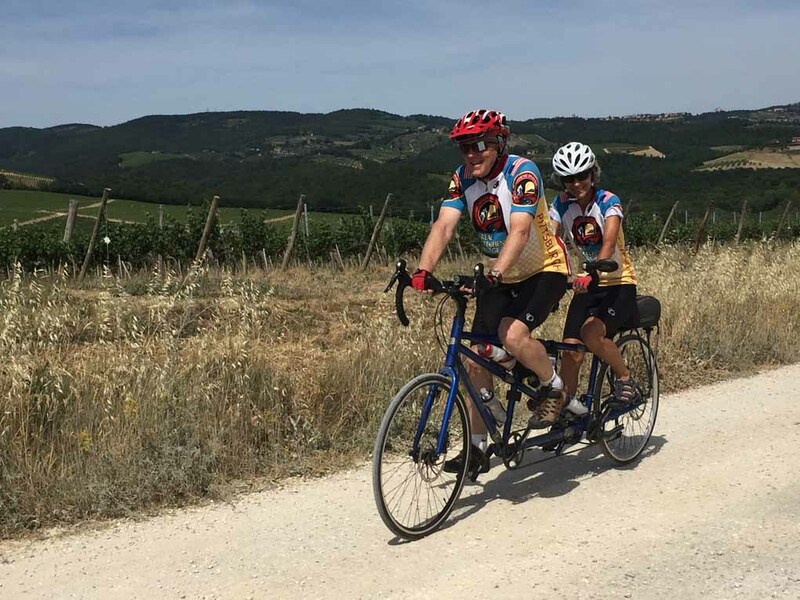 Of course no vist to Tuscany would be complete without seeing some of the Chianti region and as we rode through some of the most famous wine estates of this region, the vistas were simply magical. 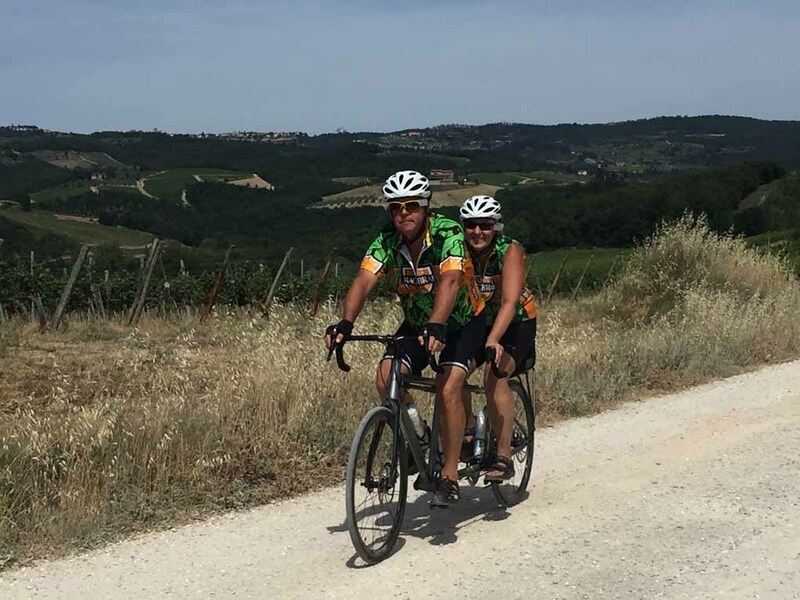 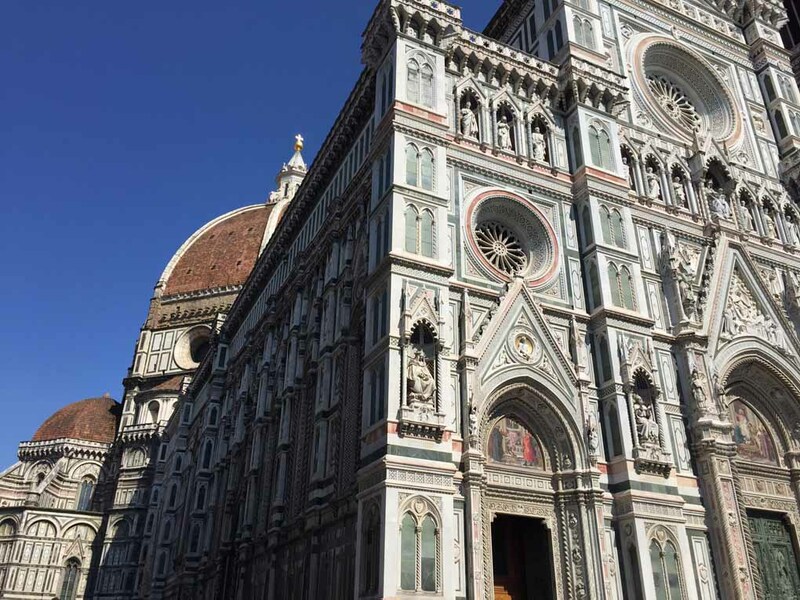 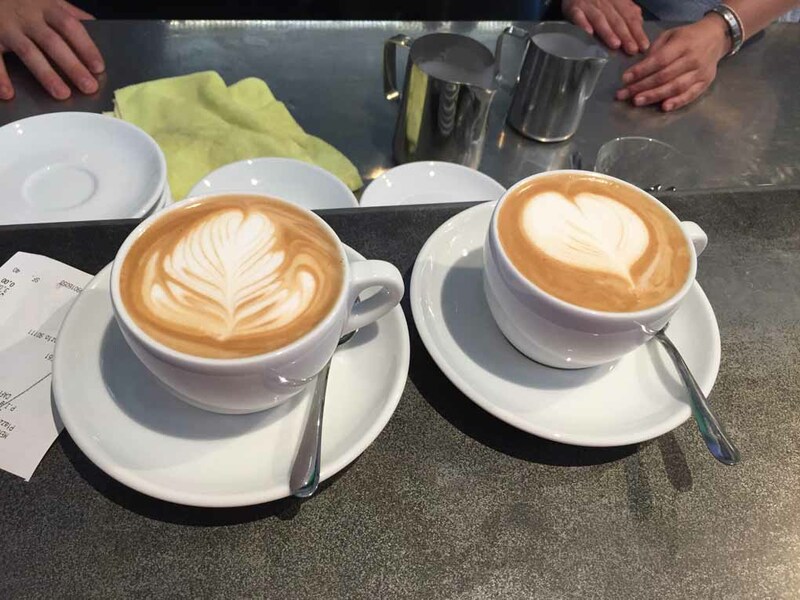 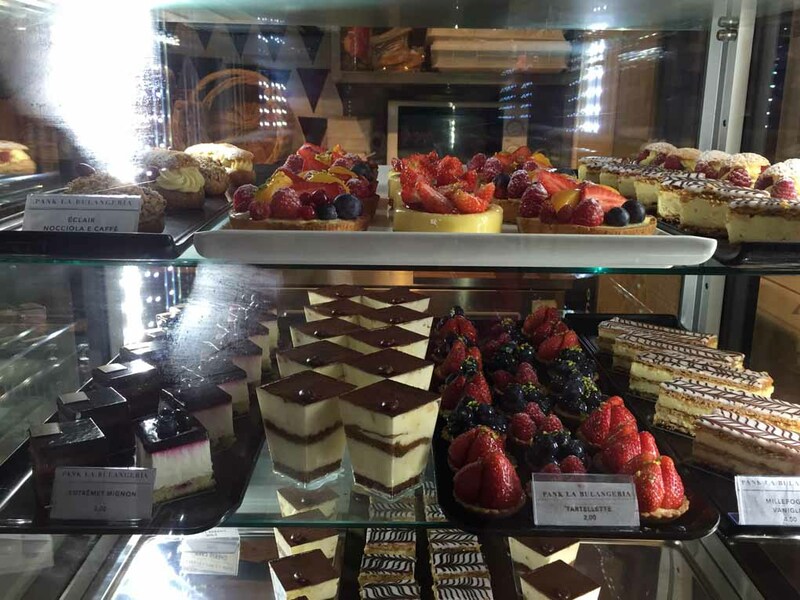 After spending the night at the lovely and classic family-owned Villa Lecchi in the heart of the Chianti wine area, our journey then continued westward with stops in Arezzo and San Gimignano. 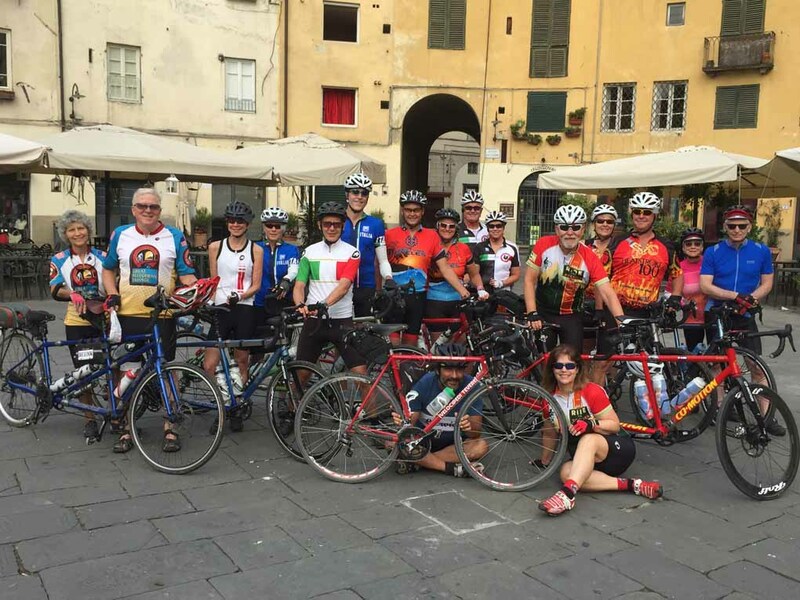 Our next 2-night destination was Lucca. 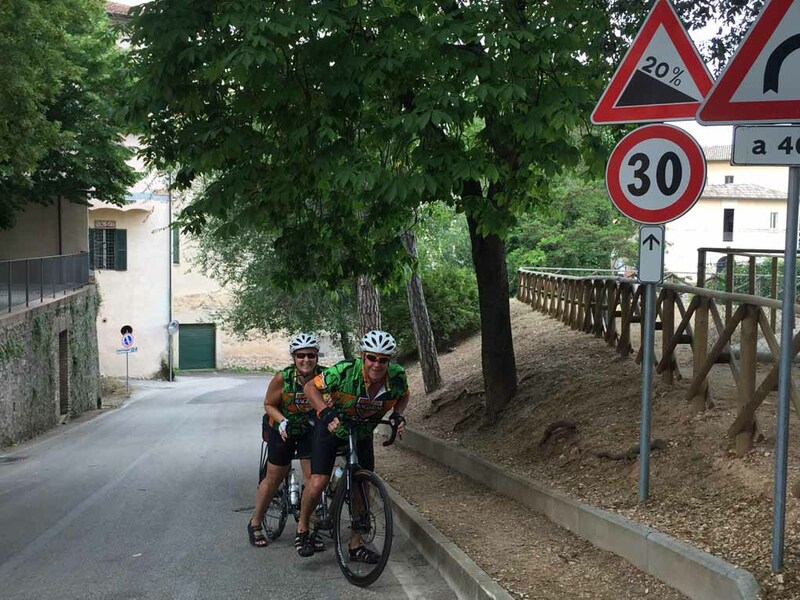 Considered a gem of Tuscany, Lucca, with it's orginal walls dating back to medieval times provided a perfect cycle journey for a special view of the city. 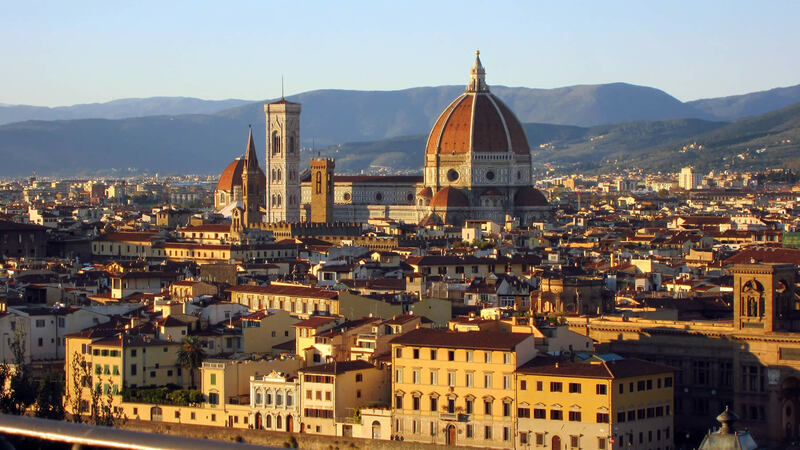 While in Lucca we spent a night listening to some of the more famous arias of Lucca's beloved son, Puccini, at a special concert only offered during the summer months. 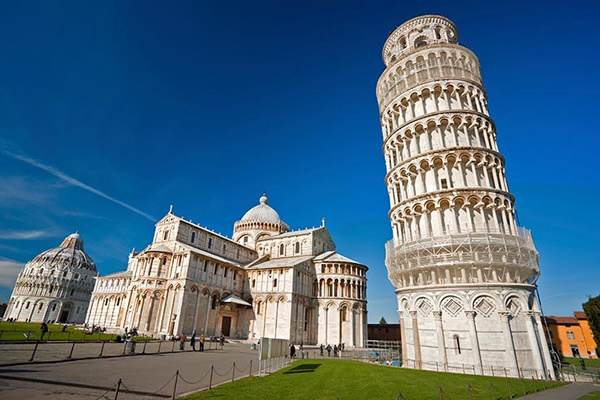 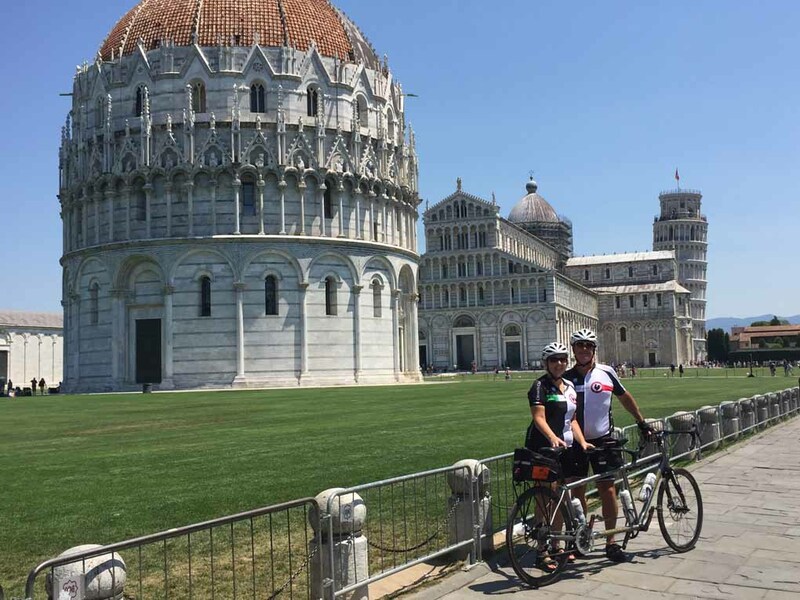 We also spent a day riding to Pisa for a visit to Il Campo Dei Miracoli and the Leaning Tower, certo! 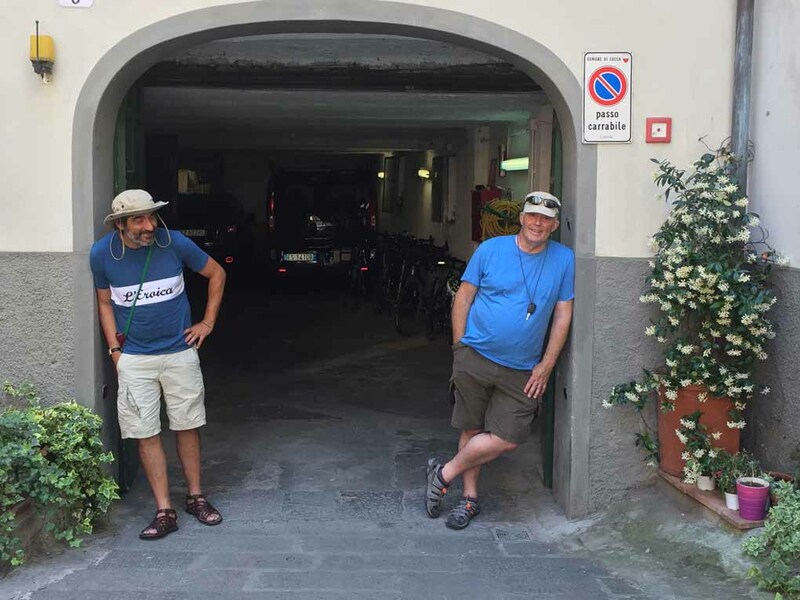 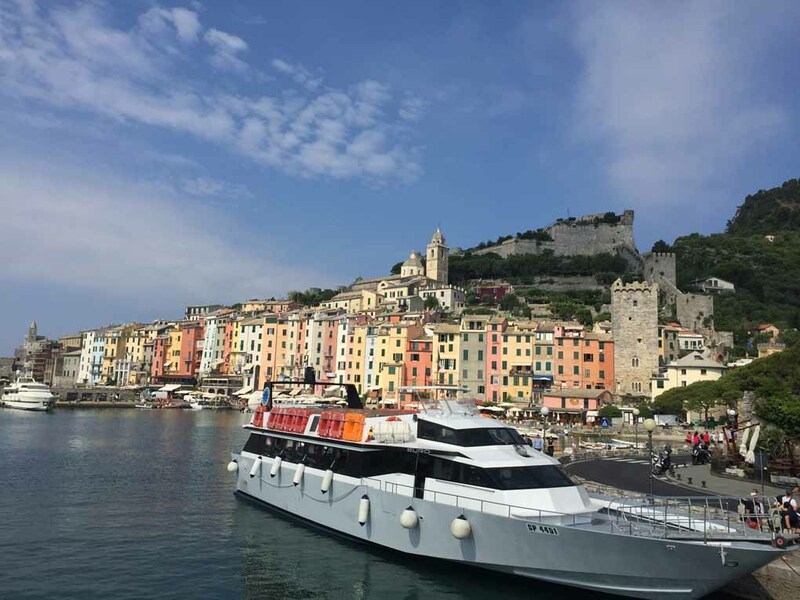 Our final destination took us to Lerici on the Ligurian coast, where we packed the bikes before our final day spent touring the Cinque Terre and environs. 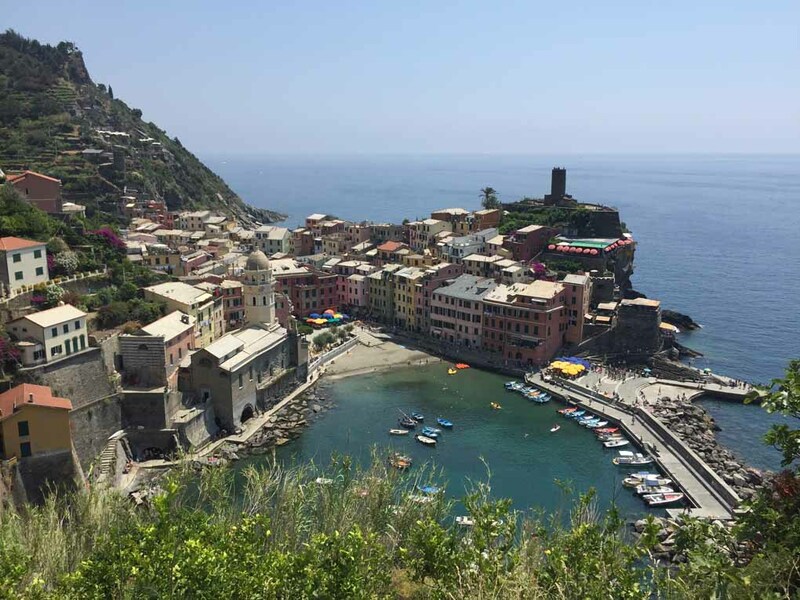 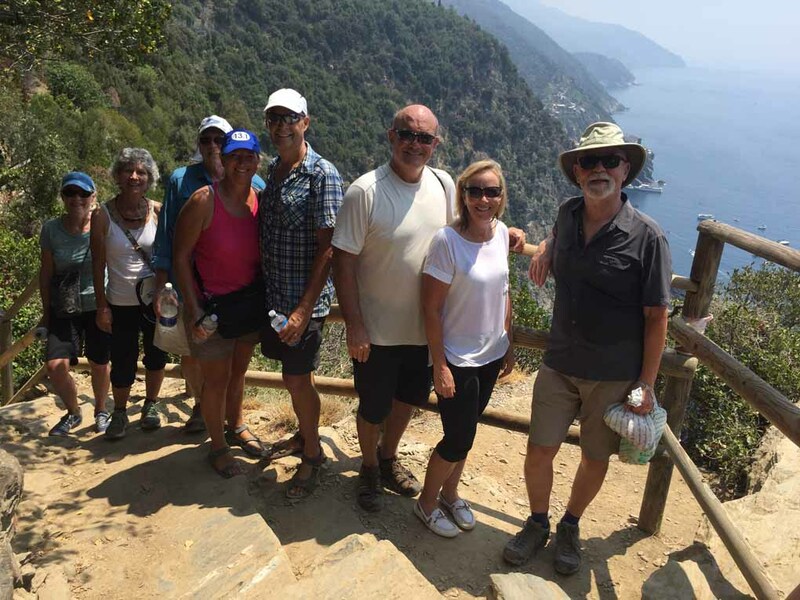 After a ferry ride to Monterosso al Mare, breathtaking views rewarded us as we hiked our way up the coastal path to Vernazza. 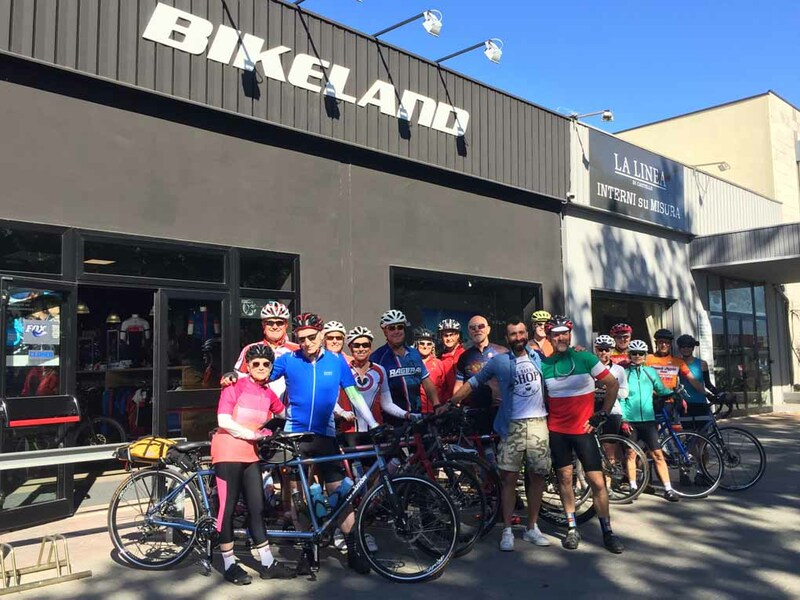 To learn more about Tandem Bicycle Tours and our tours, browse our website and we hope you will please Contact Us for more information or check out our info page to see what's included on a Tandem Bicycle Tour.